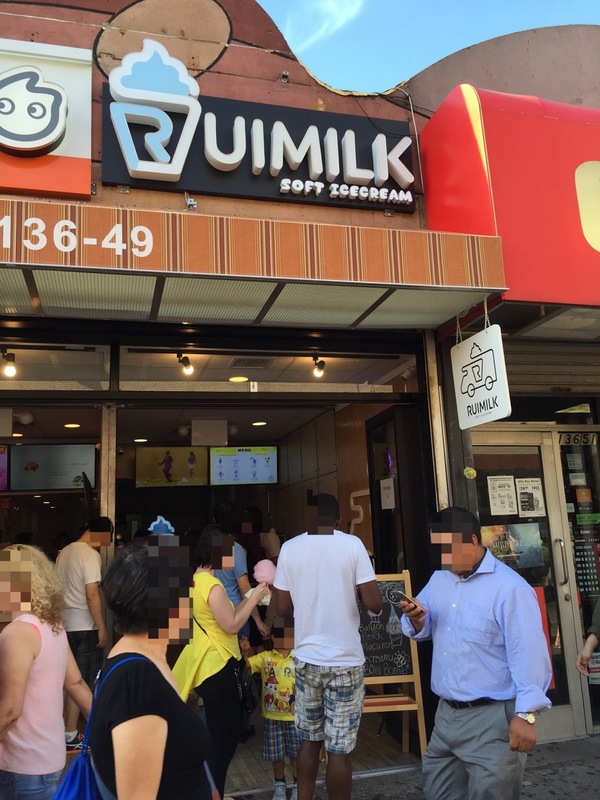 After trying Taiyaki Ice Cream, we walked to Ruimilk that is about a minute away. 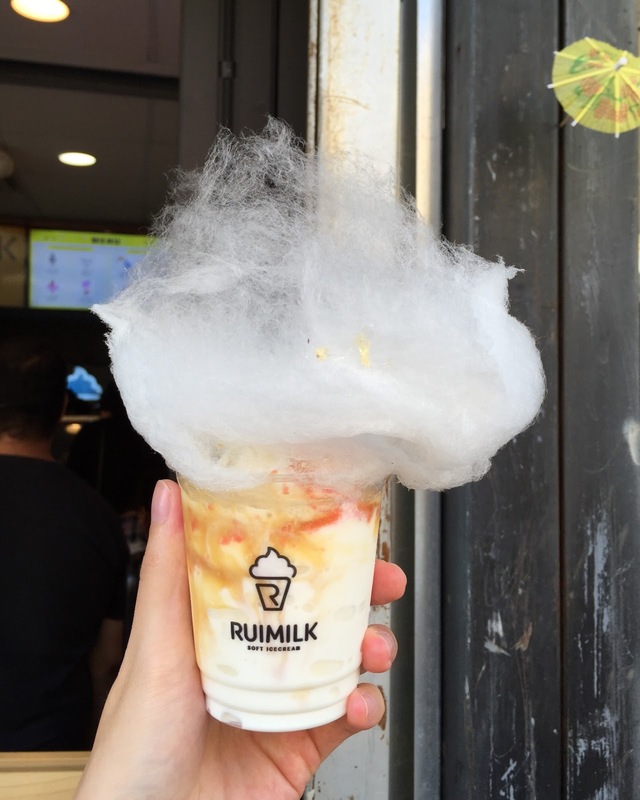 This shop is known for soft serve with cotton candy, and they make cotton candy made to order. Menu inside of the shop. 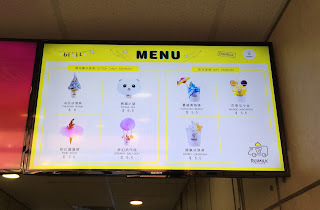 We got a Panda Rui and Dreamy Balloon, the latter of which we could choose a color of the cotton candy from white (plain), pink (cherry or strawberry? 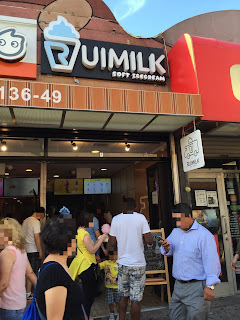 ), blue (blue raspberry), yellow (lemon) and possibly gray (not sure the flavor). On the wall, there're towelette, spoons (transparent, blue and yellow) and paper napkins. 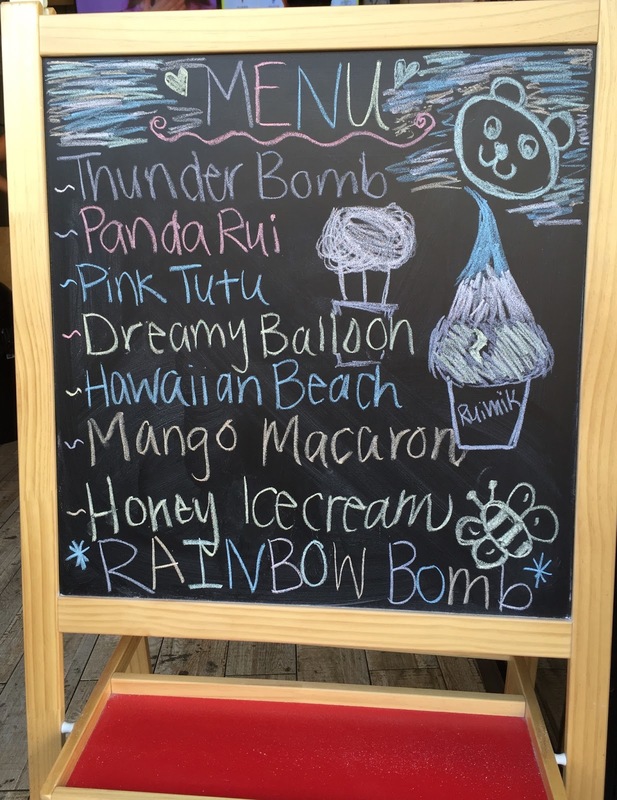 In about 10 minutes, my Panda Rui was ready and after another 5 minutes or so, Dreamy Balloon with blue was served. 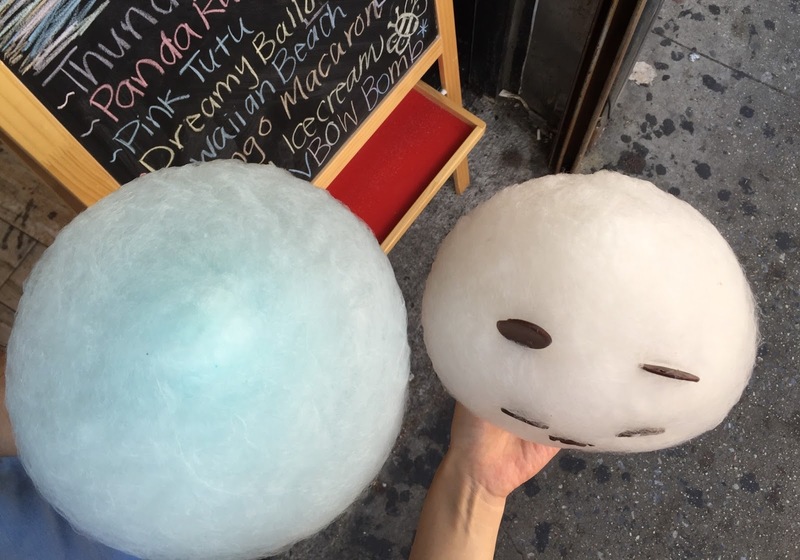 I think Panda Rui's cotton candy had about 25cm (9.84 inch) in width. Dreamy Balloon had even larger cotton candy than that of Panda Rui, and it looked like a cheese wheel. 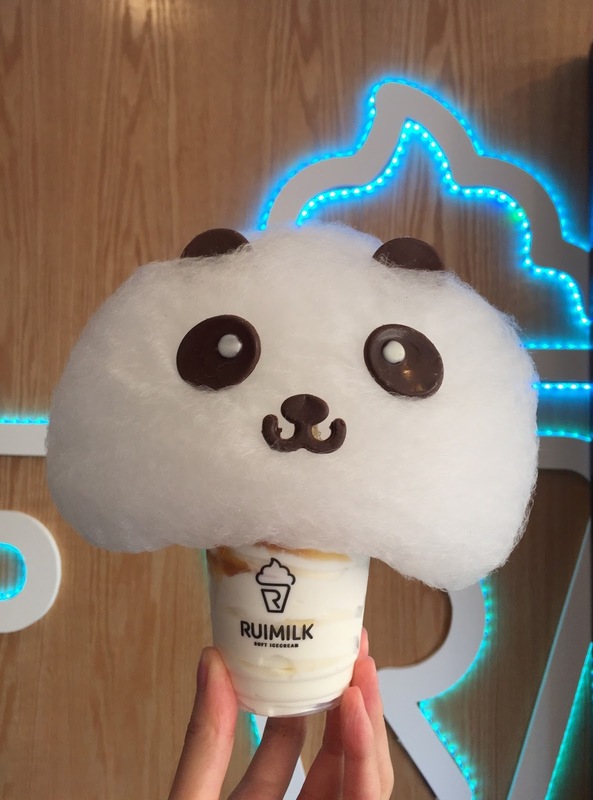 The panda face was quite large and so fluffy, and I saw them making the base first then added ears, eyes and a mouth for the finish. I had to eat the cotton candy to get to the soft serve, and I bit into the face and tore the candy. At one point, it looked like Mr. Trump's hair or Hades from Hercules. Over the milk soft serve, there're caramel and pop rocks. 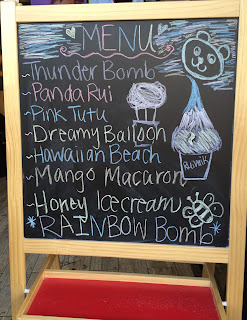 The caramel was sweet and rich, and the unexpected pop rocks were adding unique texture. 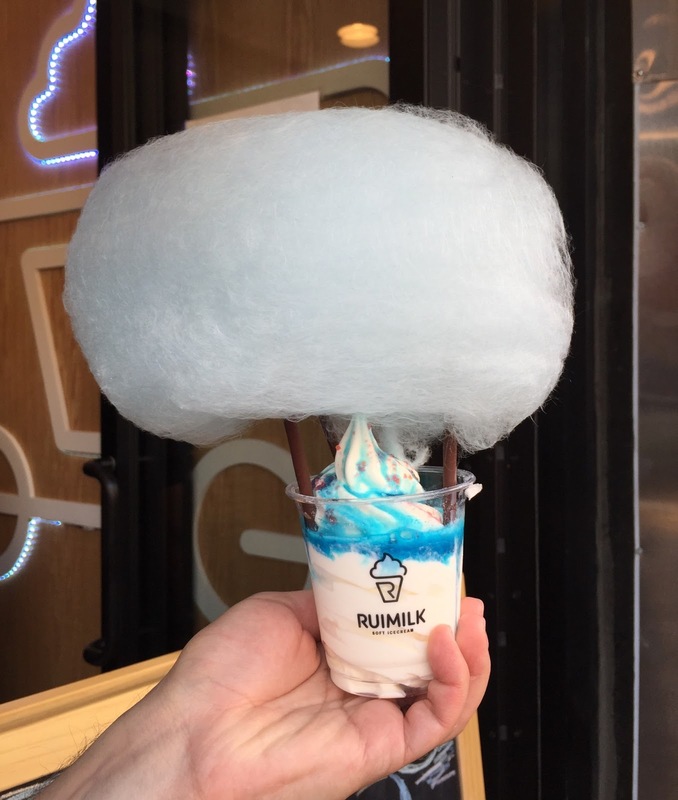 Blue raspberry flavored syrup was poured over soft serve, and the cotton candy was held by 3 chocolate Pocky and it looked like a flying balloon. There're also pop rocks and they're popping. 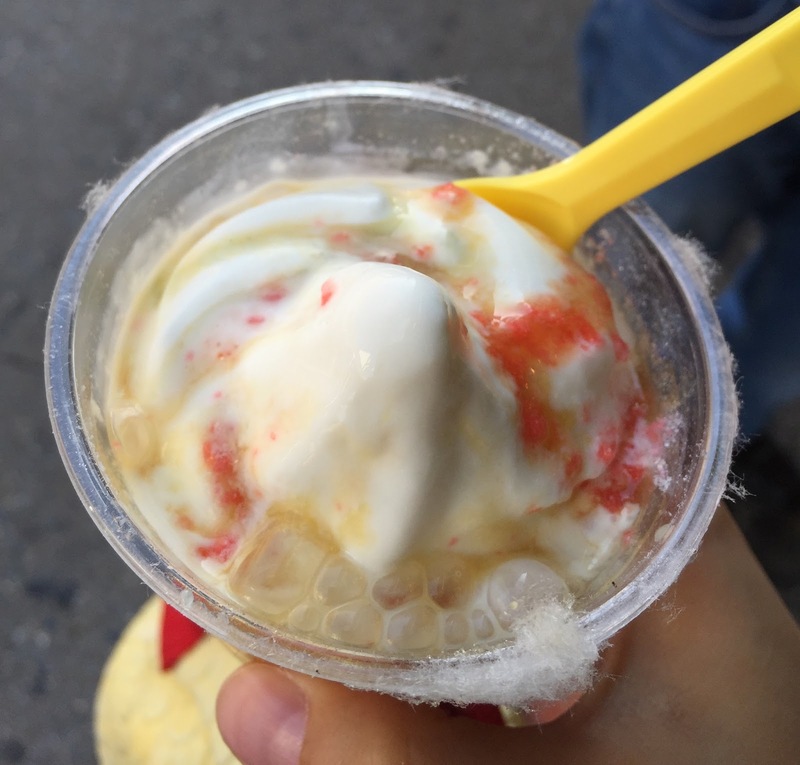 Same as Taiyaki Ice Cream, they put the cotton candy in line with the logo of the cup. 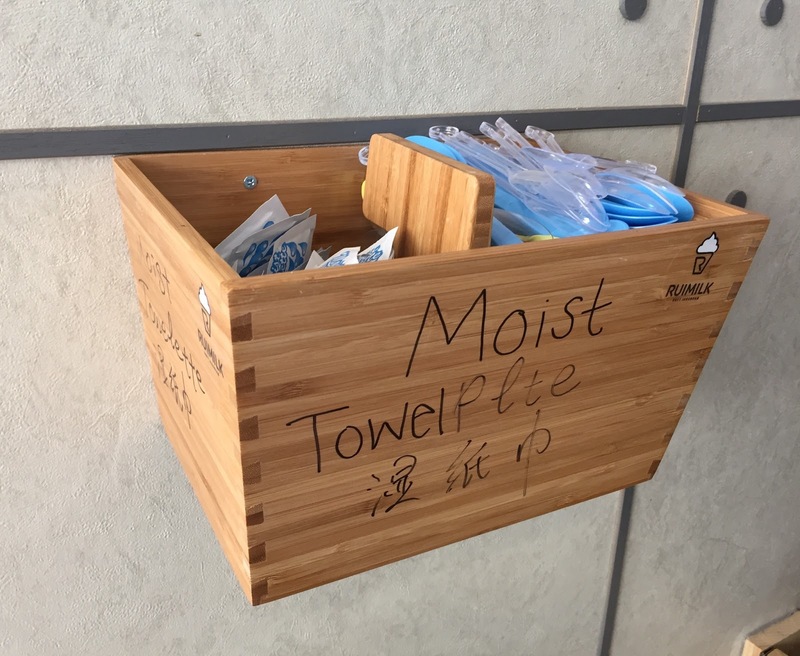 As it's covered in cotton candy and sticky I highly recommend you get the towelette in advance besides a spoon and some paper napkins.